After you made a video with windows movie maker, you may want to upload it to YouTube or facebook to share it with your friends or anyone else. This step by step guide will teach you how to do that. Step1. Once you finished the editing with windows movie maker, Click the menu “File” -> “Save Movie File”, then save it to “My computer”, set the video named and location, just follow the guides, it will help you save the file as WMV video. Tips: don’t click “save project” or “save project as”, it will save your windows movie maker file as MSWMM file that is not a regular video, it’s a project file that contains the video information, it’s used for further editing in windows movie maker, no website or video converter can recognize it. Once you upload MSWMM file to YouTube, it will return “Failed (unable to convert video file)” error info. Step2. Log in your YouTube account and upload the WMV video, YouTube accepts only video smaller than 1GB and shorter than 10 minutes, please make sure your video fits the limitation. Tips: Sometime you will find that it takes a long time to upload the video. Because YouTube video is FLV video, windows movie maker file is WMV video, YouTube will convert the WMV video to FLV video at first on its server, this process will take long time to finish. Actually, you can convert the video on your computer; it would be much faster, here is a step by step guide will teach you how to convert WMV video to FLV video. Sometimes you may found DVD that you want to import into Windows Movie Maker for editing, but you are frustrated with the DVD format and CSS protection. You can use this Total DVD Ripper. I have tried many DVD converters and strongly recommend this one to you, it’s safe and easy to use. Step2. Click the “Profile” drop-down list to select “WMV – Windows Media Video (*wmv)” as output format. If you want to convert your DVD into one video file instead of multiple video clips, you can select the option “Merge into one file”. And this DVD Ripper supports ripping Subtitle and Audio Track, you can select anyone you want. And then Click the “Start” to run the ripping process. It takes about 40 minutes to rip a normal two hours DVD movie. Step3. 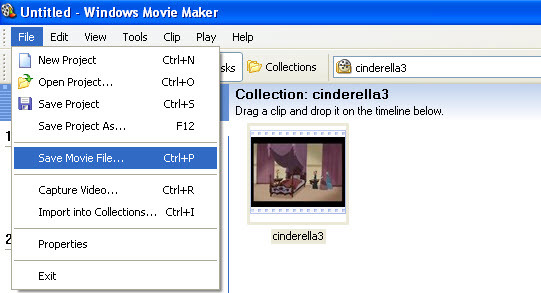 Run Windows Movie Maker, in the “Movie Task” bar, click “Add Video” to browse your computer and located the converted files, and then you can start to make personal movies. Step1. Download and run this YouTube Converter. And then click “Download -> New Download Job”, and then copy the YouTube video URL address to the YouTube downloader, then click “Ok” button. In the profile drop-down list, select “WMV – Windows Media Video (*.wmv)” as output format. And then click “Convert” to run the download and conversion process. When the task finished, you can drag the wmv video into windows movie maker for editing.